The Omega-3 and natural antioxidant supplement for perfect bloom, maximized antioxidant defense and top performance for senior horses. Omega-3 essential fatty acids and a synergistic blend of Antioxidants help maintain health and performance of your horse. It is good sense to supplement your horse’s diet with the wide range of antioxidants found in Omega Antioxidant to counteract numerous free radicals. Powerful nutrients are locked in and guaranteed stable for at least 18 months. Omega Antioxidant contains a base of Premium, Human-Grade, Non-GMO, 99.9% Pure, Pure Glean Stabilized, Ground, Fortified Flax to provide Omega-3 (LNA). About 50% of LNA is utilized by the skin and coat (for health and shine), and the rest is used for muscles and modulating the immune system to prevent hyper-immune disorders, heart arrhythmia and excess platelet aggregation. This base of flax is blended with the special variety of high-antioxidant sorghum. Premium sorghum is a rich source of polyphenol (plant-based) anti-oxidizing power. Polyphenols also act to regenerate Vitamin E after it becomes oxidized. Omega Antioxidant contains this powerful polyphenol sorghum plus five other powerful antioxidants – Catechins, Quercetin, Taxifolin, Lignans and Tocopherols. Since numerous forms of free radicals are produced in an animals’ body, it makes sense to supplement your horse’s diet with the wide range of antioxidants found in Omega Antioxidant. Per serving, the special synergistic variety of natural antioxidants contains more polyphenol anti-oxidizing power than chemical-based antioxidant ingredients. Scientific studies have indicated that antioxidants are most effective and safest when combined in a team effort. We’ve never compromised the quality of our products and we never will. Stabilized Ground Flax Seed, Ground Grain Sorghum, Zinc Sulfate, Vitamin E Supplement, Folic Acid, Pyridoxine Hydrochloride (Vitamin B-6), Vitamin B-12 Supplement. Digestible Energy = 1,924 Kcal/lb. Metabolizable Energy = 1,777 Kcal/lb. Feed 1 to 1 1/2 standard measuring cups daily, top dressed over feed. Start gradually to suggested minimum daily serving of 1 cup. Approximately a 4-5 month supply at the 1 cup serving per day. The stabilized, ground, fortified flax seed used in Omega Antioxidant utilizes PureGlean stabilization technology. The powerful nutrients in Omega Antioxidant are locked in and guaranteed stable for at least 18 months with no signs of rancidity or loss of nutritional value. Best if stored in a cool, dry place. I currently use Omega Antioxidant, and Farnam’s Vita Flex Vita E and Selenium (which is a one ounce serving scoop – providing 1 mg of Se per day) – and would like to know if I should continue to supplement with the Vita Flex or can I discontinue it. I am in an area in VT where I need to supplement with Se, as the hay is deprived of it. Omega Antioxidant is considered a very rich Omega-3 supplement with added antioxidants – it is not considered a vitamin/mineral supplement or a complete feed. When fed as recommended Omega Antioxidant accounts for a very small percentage of the total weight of the average daily feed intake of the horse. Omega Antioxidant has Selenium listed as 0.66 ppm — so it is not considered a high source. (For 100g of Omega Antioxidant (approximately 1 cup) your horse would only be getting 0.066mg of Selenium.) Therefore, it is important to look at the total selenium of the horse’s whole diet. Since you are in an area where you need to supplement with Se – we would recommend that you continue to supplement with Vita Flex. The stabilized flax used in Omega Antioxidant is very high in Omega-3 essential fatty acids. This makes it ideal because it is heavily tipped in favor of the Omega-3’s the horse’s diet is missing. Also essential fatty acids are the first fats that are used by the body (because they are essential to the working of the body). The outer layer of every cell in the body is made up of essential fatty acids (especially Omega-3) so when the cells are healthy — it makes more sense that the animal will be healthy! Omega GRANDE® – the COMPLETE equine supplement — is formulated to provide the recommended daily essential vitamins and minerals (custom-formulated and blended mix) required for performance horses with the added benefits of stabilized, super anti-inflammatory Omega-3 fatty acids from ground flaxseed (approx 27,396 mg Omega-3 per 1-1/2 cup serving! 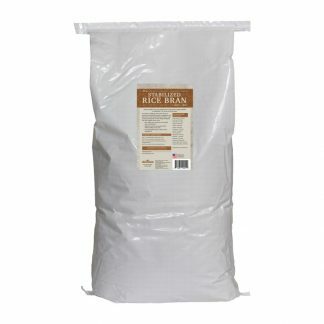 ), stabilized rice bran & ground grain sorghum seed (two powerful plant-based antioxidants high in Oxygen Radical Absorbance Capacity (ORAC) to help build a strong immune system), Diamond V® Yeast (effective probiotic as an aid for digestion), biotin, and a custom-formulated vitamin/mineral mix – which includes 0.95 mg of Se! Omega GRANDE does not contain any corn, wheat, or soy fillers like so many other COMPLETE supplements. When the body has proper functional nutrition, in the right balance — the level of cell membrane integrity improves — thus improving the level of optimal health. Omega GRANDE® eliminates the need for extra supplementation and can also be used as an alternative for psyllium to prevent sand colic. Omega GRANDE® is readily accepted by horses and is easy to serve. Omega GRANDE does not contain any processed grain by-products or molasses. Instead of going to your COMPLETE supplement – I really like the SmartVite I am using … so how about adding Omega Horseshine or Antioxidant? What that be detrimental to the balance of the ration? I also have a 30+ y.o. gelding that is on a semblance of a complete feed with some beet pulp at evenings and the addition of some alfalfa hay in his diet but is still low on weight. Would any product in your line help this delicate senior guy? Thank you so, so much for your time. I have not had a lot of success in asking these types of questions in conversations with my vet. I really appreciate it. Keeping the SmartVite and adding either Omega Horseshine or Omega Antioxidant would work very well. What is nice about adding the Omega Horseshine or Omega Antioxidant to the diet is that you can always add a bit more than the recommended amount per day, when needed — and not worry about throwing anything off balance. With the Omega Grande you need to stay within the recommended amount per day because it contains all the vitamins and minerals your house would need in that serving size. Please see corresponding info concerning both products below. 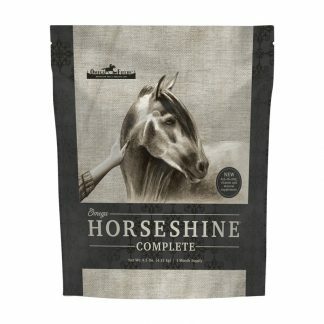 Omega Horseshine® is an award-winning, Omega-3, Omega-6, and Omega-9 essential fatty acid supplement that promotes health and well-being for all breeds of horses. Omega Horseshine contains the best premium, stabilized ground flax base enhanced with a very small percentage of oats (antioxidant), yeast (probiotic), vitamins, chelated minerals, and biotin. The added ingredients are meant to enhance the formula for nutritional purposes, but are no way meant to be the recommended daily amounts for either probiotics or vitamins and minerals. Omega Horseshine is strictly an Omega-3 supplement. One-half cup to one cup is the recommended daily maintenance amount for Omega Horseshine. Note: Each 1 cup serving = 20,000mg of Omega-3. Omega Antioxidant is an Omega-3 and Omega-6, Plant-based and Vitamin-based Antioxidant supplement for health, well-being, and longevity of all breeds of horses — it is the next step up from Omega Horseshine®. Omega Antioxidant contains the best premium, stabilized ground flax, a synergistic blend of six all-natural antioxidants — Lignans, Catechins, Quercetin, Taxifolin, Phytosterols, and Tocopherols — with Folic Acid and Vitamin B-12. It is formulated to extend the longevity of your horse’s active life by protecting against debilitating diseases. Two-thirds cup to one and one-third cups is the recommended daily maintenance amount for Omega Antioxidant. Note: Each 1-1/3 cup serving = 20,000mg of Omega-3. Omega Antioxidant contains a base of Premium, Human-Grade, Non-GMO, 99.9% Pure, Stabilized, Ground, Fortified Flax to provide Omega-3 (LNA). About 50% of LNA is utilized by the skin and coat (for health and shine), and the rest is used for muscles and modulating the immune system to prevent hyper-immune disorders, heart arrhythmia and excess platelet aggregation. This base of Stabilized Flax is blended with the special variety of high-antioxidant sorghum which we contract for. Premium sorghum is a rich source of polyphenol (plant-based) anti-oxidizing power. Polyphenols also act to regenerate Vitamin E after it becomes oxidized. Since numerous forms of free radicals are produced in an animals’ body, it makes sense to supplement your horse’s diet with the wide range of antioxidants found in Omega Antioxidant. Per serving, the special synergistic variety of natural antioxidants contains more polyphenol anti-oxidizing power than chemical-based antioxidant ingredients. Scientific studies have indicated that antioxidants are most effective and safest when combined in a team effort — they may help in preventing debilitating disease. Older horses may benefit with the dietary addition of 2 cups Omega Horseshine or 2-2/3 cups of Omega Antioxidant per day, based on a 1,000 lb of body weight. Stabilized Ground Flax actually works as a digestive aide and helps older animals keep weight on. You can even go up to 3 to 4 cups if necessary. We actually had a customer feeding a mash consisting of 4 cups Omega Horseshine and ground up Senior Formula to her 40+ year old horse. She said she thought that diet helped him live a good long life — even though he was toothless! Omega Horseshine and Omega Antioxidant are highly effective Omega-3 supplements (see above). It is your personal decision whether you’ll choose Omega Horseshine or Omega Antioxidant (either one is an excellent choice). Omega Antioxidant does include the benefit of a blend of plant and vitamin based antioxidants in its formula. I have high hopes for this horse supplement... does it help with the sand too. Omega Antioxidant effectively helps prevent sand colic. Please keep reading for more in-depth information. The stabilized ground flax in Omega Antioxidant contains a high mucilage gum content (soluble fiber) that swells and takes on a gel-like consistency when it enters the digestive system — trapping and suspending sand, carrying it out — helping prevent impaction and sand colic. (Mucilage gum is a type of polysaccharide that becomes viscous when mixed with water or other fluids.) There is no need for adding psyllium to any of our flax-based products. There is a neat demonstration you can perform yourself that illustrates how effective the ground flax in Omega Antioxidant is as a sand colic preventative. Mix Omega Antioxidant with water and allow it to gel. Do the same thing with any product containing ground psyllium husks. The amount of “stickability” of each is very visible when you put a dipping or stirring stick into both the resulting mixtures. When you remove the stick you will be able to see how the material clings. When you remove the stick from the Omega Antioxidant mixture, you will note the thicker “slime” or “goo” that coats the stick. This is the same slimy mucilage that forms when Omega Antioxidant is fed to your horse and it is what suspends the sand, and carries it out of the horse’s gut. When you remove the stick from the ground psyllium product mixture, you will note that the stick tends to “pop” free and there is less sticky “slime” or “goo”. The stabilized ground flaxseed in Omega Antioxidant also acts to buffer excess acid and aids in the stabilization and modulation of blood glucose. I feed Omega Antioxidant to my pregnant mares…and then I start foals with a creep feeder and foal starter, and give them a little too, although it takes a while for them to really consume much. Does Omega Antioxidant fed to lactating mares get into the milk? If so what are the benefits? As you are aware, it is safe (and recommended) to supplement mares in foal with stabilized ground flax. Pregnancy is one of the conditions most associated with Omega-3 essential fatty acid deficiency. During pregnancy the mare’s body becomes deficient in Omega-3 because the fast-growing brain, eye, and sensory organs of her foal utilize all available Omega-3. Omega-3 essential fatty acids are necessary for normal growth and development and cannot be manufactured in the body. We’ll take a very basic look at why Omega Antioxidant (as a super rich source of Omega-3) has such a positive effect on the overall health of your mares and their foals. The outer coating, or membrane, of every one of the billions of cells in the horse’s body is unusually rich in Omega-3 fatty acids. In fact, Omega-3 essential fatty acids are the main structural fat that makes up this membrane and play a vital role in how cells function. Omega-3 essential fatty acids are the first fats utilized by the body. When each cell’s membrane is healthy it can let in all the good nutrition for the cell, as well as eliminate all the toxins which will be carried out of the cell and removed by the bowels. It is really quite simple –Healthy cells = Healthy body! You can be very sure that the foal’s body is adding cells as it is growing in the mare’s womb — and the Omega-3 that the mare is eating (via Omega Antioxidant) is being utilized very effectively. In fact, the foal’s growing body will pull Omega-3 from the mother as it is growing in the womb – it has priority! Therefore, sufficient amounts of Omega-3 must be added to the mare’s diet … which also serves to keep the mare healthy as well. It also is a scientific fact that the lactating mare’s milk is very rich in Omega-3, as long as she consumes sufficient amounts of it. So, now you know, as long as the foals are nursing, they are getting Omega-3 to support their growing bodies. I am feeding your Omega Antioxidant to my horse with mild heaves. Also msn & vit c & anihist. We were doing well this year as it has been very wet. 2 weeks ago it began to dry out so with pollens emerging his breathing is worsening. I so wanted to stay away from the drugs, by using natural things but things are going downhill now. Are these things really making a difference or am I wasting my money? I know flax is supposed to be an anti-inflammatory but does it do that is horses too? Any suggestions? I have also added Smart Pacs Breath easy. I checked with my vet & he didn’t feel there would be anything conflicting in giving him so much but doesn’t seem to know a lot about natural remedies. Chronic Obstructive Pulmonary Disease (COPD) is a lung disease that resembles asthma inflammation in humans. The condition is also known as heaves, recurrent airway obstruction, broken wind, emphysema, chronic bronchitis or small airway disease. Although we cannot speak for the effectiveness of the other products you are feeding — msn, vitamin c, antihist, and Breath easy — we can address the effectiveness of Omega Antioxidant for your COPD horse. Please keep reading for a more thorough explanation. And, yes, flax (as a rich plant source of Omega-3) is an effective anti-inflammatory for horses — as it is for all animals. Also, we’ll share information on SPECIAL FEEDING DIRECTIONS for Omega Antioxidant – which address amounts to feed for specific problems including heaves, allergies, inflammatory reactions to bug bites, dull coat, dry itchy skin, arthritic pain, poor hoof growth, cracking/splitting hooves, etc. — that may be attributed to an Omega-3 deficiency in the horse’s body. The membrane, or outer coating, of every one of the billions of cells in the body are unusually rich in Omega-3 fatty acids. In fact Omega-3 fatty acids are the structural fat that makes up this membrane and play a vital role in how cells function. To understand how Omega Antioxidant (as a rich source of stabilized Omega-3 essential fatty acids) helps improve a horse’s quality of life, let’s take a look at how cells behave when they are aging and/or damaged by trauma such as injury, surgery, over-training, allergic reactions, or diseases such as COPD. When a cell is irritated or damaged, or when it begins to age, its membranes break down. As a result, compounds contained within the cell walls are released into the cell matrix. Some of these substances, such as histamine, give rise to inflammation and associated problems. Inflammation is a horse’s natural response to cell-membrane breakdown. A decrease in cell stability leading to membrane damage and subsequent release of compounds that promote damage, inflammation, and in the case of COPD — leads to difficulty with breathing. The Omega-3 essential fatty acids in Omega Antioxidant work by stabilizing the membranes of the cells, promoting healing of existing damage and helping to prevent further damage. On a practical level, this means quality of life is improved, and you will see your horse experiencing freedom from the symptoms of COPD. The stabilized ground whole flaxseed in Omega Antioxidant also helps maintain proper fluid and electrolyte balance in the small intestine that will lessen the incidence of tieing up and muscle cramping. Omega-3 essential fatty acid is a powerful anti-inflammatory and immune builder for all mammals. Omega Antioxidant is also rich in natural occurring and added antioxidants found in ground whole flaxseed and ground grain sorghum. Antioxidants can also be helpful for horses suffering from COPD to help combat free radical damage produced during the stress response and to promote tissue repair. The stabilized ground flax used in Omega Antioxidant is very high in Omega-3 essential fatty acids (flax is the richest source of Omega-3 in the plant world). This makes it ideal because it is heavily tipped in favor of the Omega-3s your horse’s diet may be missing. Also essential fatty acids are the first fats that are used by the body because they are essential to the working of the body — the outer layer of every cell in the body is made up of essential fatty acids. Essential fatty acids do not normally get stored as fat. When the body has proper functional nutrition, in the right balance — the level of optimal health improves. Our customers who have experienced Omega-3 deficiencies (or similar stressful problems) with their horses, have shared their successes with us. They agree that the horse needs to get a higher dosage every day for the short term in order to overcome the Omega-3 deficiency in their horse’s system — at least 2.5 to 3.5 cups of Omega Antioxidant per day based on a 1,200 lb horse, for the short term, until the symptoms/condition of the Omega-3 deficiency are alleviated. Then, they would go back down to what was the maintenance amount for their horse — for the long term. Note: With Omega Antioxidant you don’t have to keep supplementing at the high level for the long term. Please keep in mind that we believe it is always advisable to check with your equine nutritionist or your veterinarian concerning dietary changes you are considering for your horses. 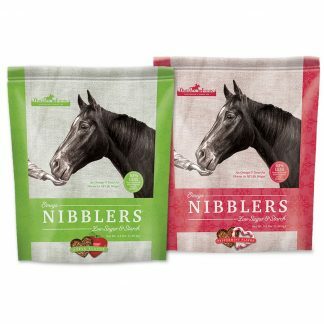 My horse is a picky eater and I want to be able to feed the Omega Antioxidant, can I mix in Super Grape Seed extract from Gateway in with the Omega Antioxidant to get my horse to eat it? Please know there is no contraindication with mixing Omega Antioxidant with Super Grape Seed Extract to get your horse to eat it — so please feel free to do that! Mix Omega Antioxidant with one or more of the following: water, apple butter, apple juice, apple cider vinegar, carrot juice, molasses — to create a tasty, nutritious mash their horses love. You might also try sprinkling the Omega Antioxidant over some soaked beet pellets or hay cubes – both of which make a good supplement carrier. What is the difference between Omega Horseshine, Omega Antioxidant, and Omega GRANDE? Thank you for your email and your question concerning the comparison of Omega Horseshine, Omega Antioxidant, and Omega GRANDE. Good for you that you are always looking to provide the best for your horses! Please see descriptions of Omega Horseshine, Omega Antioxidant, and Omega GRANDE. This way you can make your best informed decision. Omega Horseshine® contains the best premium, stabilized ground flax base enhanced with a small percentage of a blend of biotin, yeast (probiotic), oats (antioxidant), vitamins, and chelated minerals. Omega Horseshine is to be considered a powerful Omega-3 supplement (approx 28,000 mg Omega-3 per 1 cup serving!). It is not a vitamin, mineral, or biotin supplement by any means. The small amount of ingredients (other than stabilized flax) in the formula actually works to promote best absorption of nutrition when the flax is being metabolized. When proper nutrition is present for the horse’s body, the horse is better able to assimilate and utilize the Omega-3 essential fatty acid oil in the flax seed much more efficiently. The naturally occurring shorter chained Omega-3s in flax –Alpha Linolenic Acid (ALA) — can more effectively be converted by the body into the longer chained Omega-3s — Eicosapentaenoic Acid (EPA) and Docosahexaenoic Acid (DHA) — when the proper nutritional support is present. The Omega Horseshine® formula helps assure that the proper nutritional support is present. Thus, the horse has the full spectrum of Omega-3s available for optimum health. Omega Horseshine can also be used as an alternative for psyllium to prevent sand colic. It is readily accepted by horses and is easy to serve. Ingredients: Stabilized Ground Flax Seed, Yeast Culture (Diamond V Yeast), Ground Oats, Calcium Carbonate, Zinc Sulfate, Sodium Selenite, Copper Sulfate, Folic Acid, Niacinamide, Manganese Sulfate, Calcium Pantothenate, Pyridoxine Hydrochloride (Vitamin B-6), Biotin, Vitamin B-12 Supplement, Riboflavin and Thiamine. Note: The recommended amount of Omega Horseshine for a 1,000 – 1,200 lb horse would be 1/2 cup to 1 cup per day. Omega Antioxidant is an Omega-3, Omega-6, and Omega-9 plant-based and Vitamin-based Antioxidant supplement for health, well-being, and longevity of all breeds of horses — it is the next step up from Omega Horseshine®. Omega Antioxidant contains the best premium, stabilized ground flaxseed, a synergistic blend of six all-natural antioxidants found in ground grain sorghum — Lignans, Catechins, Quercetin, Taxifolin, Phytosterols, and Tocopherols — with Folic Acid and Vitamin B-12. It is formulated to extend the longevity of your horse’s active life by protecting against debilitating diseases. Two-thirds cup to one and one-third cups is the recommended daily maintenance amount for Omega Antioxidant (approximately 200 each 2/3 cup servings in a 50 lb. bag). Omega Antioxidant contains a base of Premium, Human-Grade, Non-GMO, 99.9% Pure, Stabilized, Ground, Fortified Flax to provide Omega-3 (LNA). About one half of LNA is utilized by the skin and coat (for health and shine), and the rest is used for muscles and modulating the immune system to prevent hyper-immune disorders, heart arrhythmia and excess platelet aggregation. This base of Stabilized Flax is blended with the special variety of high-antioxidant ground grain sorghum seed which we contract for. Premium sorghum is a rich source of polyphenol (plant-based) anti-oxidizing power. Polyphenols also act to regenerate Vitamin E after it becomes oxidized. Ingredients: Stabilized Ground Flax Seed, Ground Grain Sorghum, Zinc Sulfate, Vitamin E Supplement, Folic Acid, Pyridoxine Hydrochloride (Vitamin B-6), Vitamin B-12 Supplement. Omega GRANDE® – the COMPLETE equine supplement — is formulated to provide the recommended daily essential vitamins and minerals (custom-formulated and blended mix) required for performance horses with the added benefits of stabilized, super anti-inflammatory Omega-3 fatty acids from ground flaxseed (approx 27,396 mg Omega-3 per 1-1/2 cup serving! ), stabilized rice bran & ground grain sorghum seed (two powerful plant-based antioxidants high in Oxygen Radical Absorbance Capacity (ORAC) to help build a strong immune system), Diamond V® Yeast (effective probiotic as an aid for digestion), biotin, and a custom-formulated vitamin/mineral mix. Omega GRANDE does not contain any corn or wheat. When the body has proper functional nutrition, in the right balance — the level of cell membrane integrity improves — thus improving the level of optimal health. Omega GRANDE® eliminates the need for extra supplementation and can also be used as an alternative for psyllium to prevent sand colic. Omega GRANDE® is readily accepted by horses and is easy to serve. 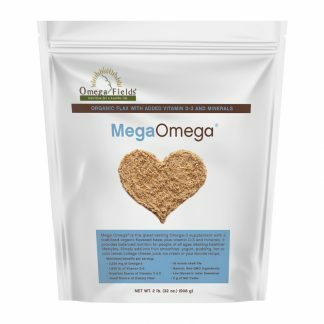 Omega GRANDE does not contain any processed grain by-products or molasses. Note: The recommended amount of Omega GRANDE for your 1000 – 1,200 lb horse would be 1-1/2 cups (3 scoops – scoop enclosed) per day. Biotin content = 5.0 mg.
Any of Omega Fields’ three premium products would be an excellent choice for your horse! 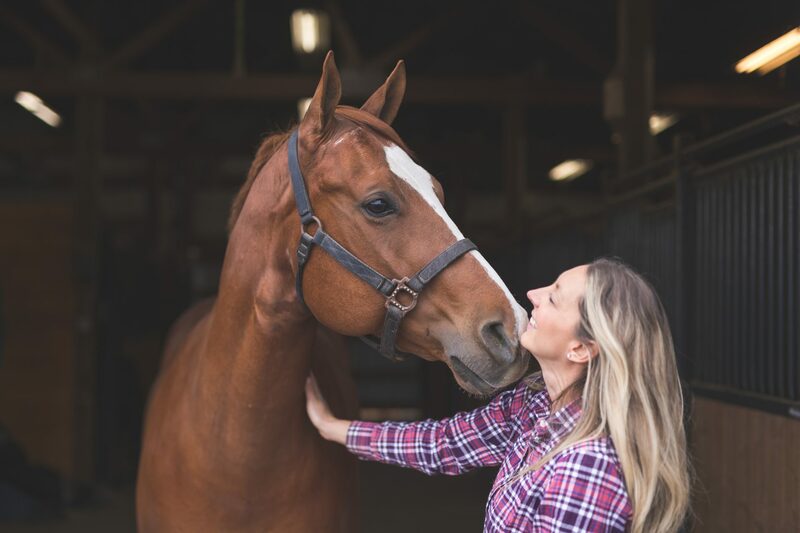 I always tell people — Omega Horseshine is our most basic supplement, the next step up would be Omega Antioxidant, and if you’re looking for a COMPLETE equine supplement that does it all, that would be Omega GRANDE! It really depends on what you are looking for for your horses! I have a mare that is allergic to oats, beets, and molasses. 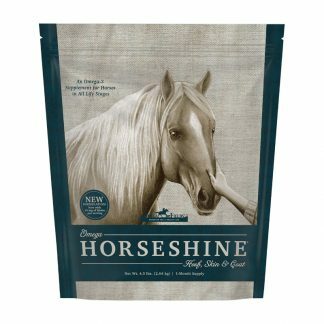 I am hesitant to use Horseshine because of the oats listed on the ingredient label. Can you recommend another product that will give my horse the same beautiful coat, but not aggravate her allergies? Concerning your mare that is allergic to oats – we would recommend Omega Antioxidant as it does not contain any added oats, beets, or molasses in the formula. 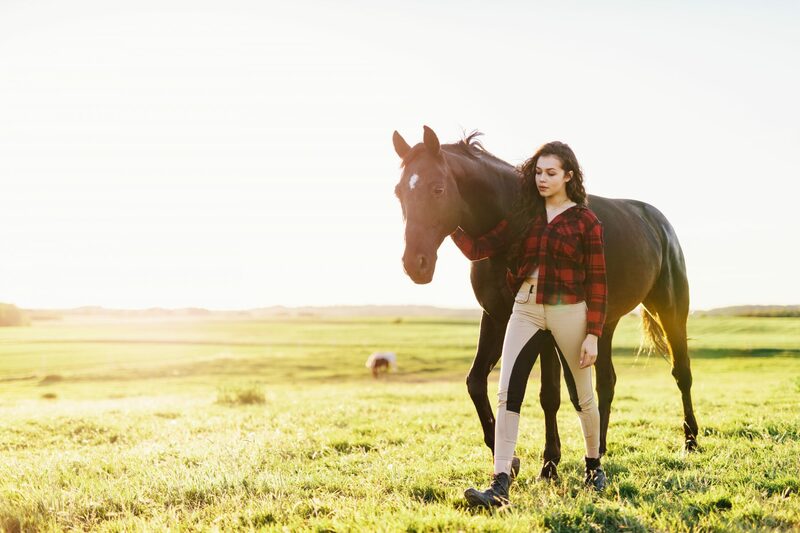 Omega Antioxidant is an Omega-3, Omega-6, and Omega-9 plant-based and vitamin-based antioxidant supplement for health, well-being, and longevity of all breeds of horses – it is the next step up from Omega Horseshine. Omega Antioxidant contains the best premium, stabilized ground flaxseed, a synergistic blend of six all-natural antioxidants found in ground grain sorghum — Lignans, Catechins, Quercetin, Taxifolin, Phytosterols, and Tocopherols — with Folic Acid and Vitamin B-12. 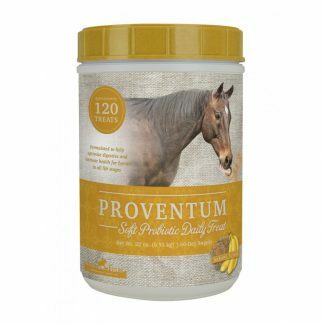 It is formulated to extend the longevity of your horse’s active life by protecting against debilitating diseases. Two-thirds cup to one and one-third cups is the recommended daily maintenance amount for Omega Antioxidant. Since numerous forms of free radicals are produced in an animals’ body, it makes sense to supplement your horse’s diet with the wide range of antioxidants found in Omega Antioxidant. Per serving, the special synergistic variety of natural antioxidants contains more polyphenol anti-oxidizing power than chemical-based antioxidant ingredients. Scientific studies have indicated that antioxidants are most effective and safest when combined in a team effort — they may help in preventing debilitating disease – and that is something we all want for our horses!